I’ve been doing this Wheel of Life goal setting and life balancing exercise for 30 years. I just printed and completed it again, and set new goals for the coming year. My experience tells me it doesn’t matter if I ever look at these 8 goals again. The exercise of actually thinking through and writing down the goals is enough to set your course. You will subconsciously start moving in that direction. I’ve found old copies of my Wheel of Life I wrote out decades ago and I’m always surprised how most came to pass. What I’m doing here on this blog is out of my sense of community. These are the eight major areas of your life: Career, Money, Health, Friends and Family, Spiritual, Personal Growth, Community, and Physical Environment. You could add additional, but these cover the major areas of life to get you started. Rate yourself in these eight areas with a dot at 1, or near the center of the pie graph meaning you aren’t doing anything to improve that area of your life, and a dot at 10 in an area of your life where you believe you’ve reached the pinnacle of success. Or somewhere in between. How smoothly is your life rolling along? You see this is the Wheel of Life…….and to be happy, balanced, and lead a productive life you have to constantly work at balancing these major areas of your life. Before tomorrow I want you to address every one of these areas of your life with at least one goal. I would like to suggest a personal relationship with Jesus Christ in the Spiritual area of the Wheel of your Life (or a deeper relationship). 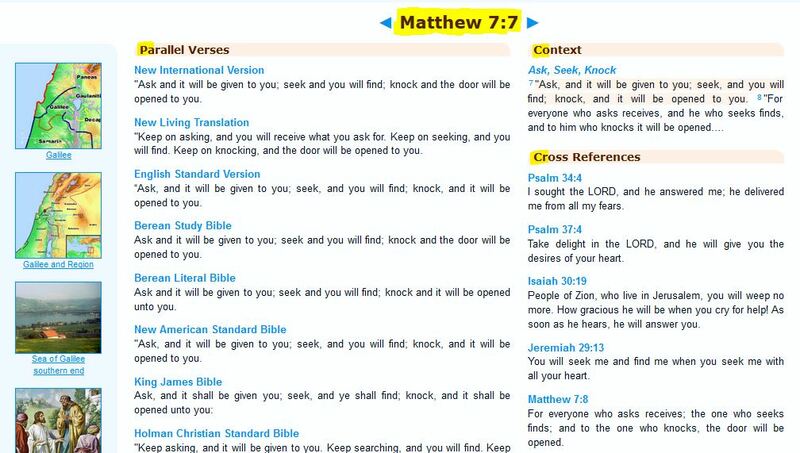 If you knock the door will open. I did that 30 years ago, within weeks things started happening that I could only conclude were coincidence. Until coincident after coincident after coincident became something I could no longer dismiss. All those coincidences eventually became a dependent personal relationship with God. There are pitfalls to this practice that I learned the hard way. No one ever warned me that if you’re married, both of you need to address goals in these 8 areas of life. If you do it, and your spouse doesn’t, you’ll eventually destroy your marriage covenant. Because you will become so different in ten years, the two of you won’t have anything in common any more. Your spouse will be left behind, exactly the way they were when you first met them. This warning is from 30 years of personal experience. Tony Robbins, and all personal management life coaches, add this caveat to the material. You also have to go back this far in time to find speakers who tie these principles back to Bible scripture. Ponder that sentence often. 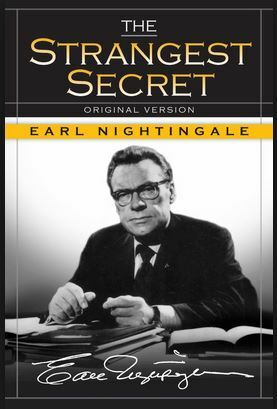 I even recognized where Zig probably got that principle in Earl Nightingale’s Classic presentation below. Listen to this life changing 31 minute presentation until you have it memorized. And as Zig Ziglar used to say, “And I’ll see youuuuu at the top.” But more important, I want to see you in heaven.